Nothing says “Congratulations!! !” like an extravagance array of gorgeous flowers! Themed with purple irises, fuchsia-colored lilies, yellow solidago, pink gladiolus, and sprinkled with white and lavender, this bunch of beauties will knock their socks off! 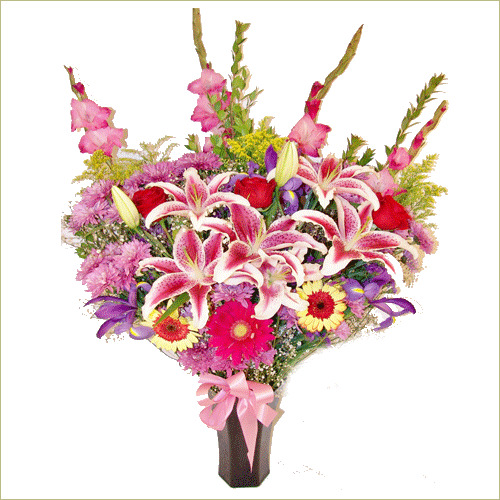 Show them how proud you are with our splendid Congratulatory Bouquet!